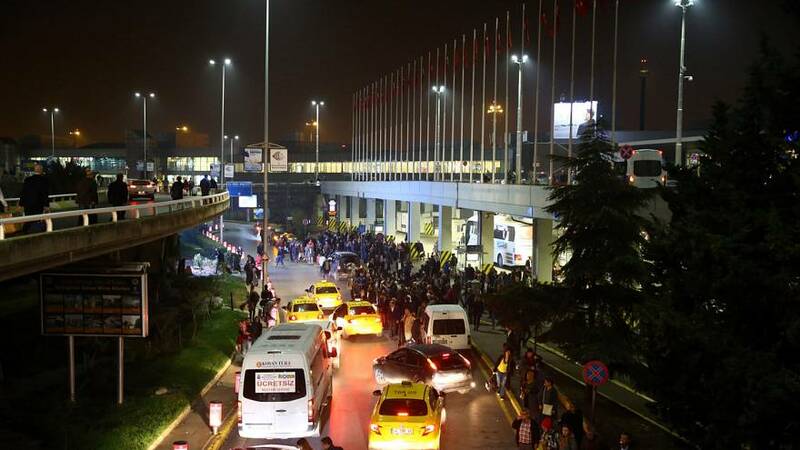 There has been a security alert at Istanbul’s main Ataturk airport, with police firing shots after a motorcycle ignored an order to stop. One of the two men on the bike was wounded and detained, according to reports. The other was caught by police after a pursuit. No-one else is believed to have been hurt. Cars were briefly barred from entering and leaving the airport, but flights were not affected. The incident comes in the wake of an attack at the airport in June, when suicide bombers – suspected of belonging to the so-called Islamic State – killed 41 people and wounded around 240 others, with gunfire and explosives.